SkyPanel is a compact, ultra-bright and high-quality LED soft light that sets a new standard for the industry. With a design focused on form, colour, beam field and output, SkyPanel represents the culmination of more than a decade of research and development of LED technology at ARRI. The S60 is a midrange model, featuring a light aperture of 645 x 300 mm and accommodating the vast majority of applications. Incorporating features of ARRI’s successful L-Series LED Fresnels, SkyPanel is one of the most versatile soft lights on the market, as well as one of the brightest. Like the L-Series, SkyPanel ‘C’ (Colour) versions are fully tuneable; correlated colour temperature is adjustable between 2,800 K and 10,000 K, with excellent colour rendition over the entire range. Full plus and minus green correction can be achieved with the simple turn of a knob, and in addition to CCT control, vivid color selection and saturation adjustment is also possible. 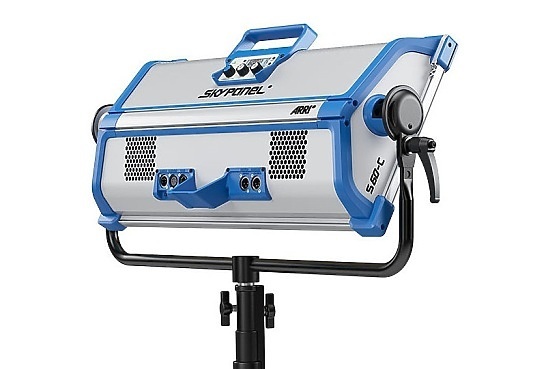 Hire the ARRI S-60C Skypanel from Procam. Best service and rental rates for the ARRI S-60C Skypanel and all cameras, lenses, sound, lighting and grip.